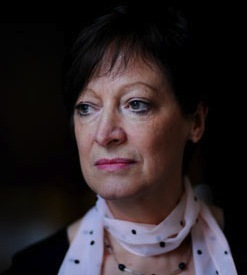 Yesterday, Sharon Shoesmith was given permission to appeal in the judicial review of her dismissal by Haringey council as a result of the Baby Peter scandal. The case itself is complex and fascinating, but the detail should not overshadow the open and forward-thinking way in which the case has been dealt with. The case was always likely to be full of controversy, complexity as well as salacious detail. This is not in itself remarkable; public law is often the cutting edge of social and political issues. What is unusual is the manner in which Mr Justice Foskett (full disclosure: he is a former member of my chambers) approached his task by not just in looking inwards to the legal system, but also outwards to the general public. At every stage of this complex case, barristers’ submissions, important documents, judge’s remarks, and a full summary of the 176-page judgment have been made available through the judiciary’s new website; a model of clarity and communication which should be followed by other judges. It also suited this particular case, in which so many public bodies were criticised that there was a strong public interest in making the findings easy to access. The reason this is important is that it represents the fulfilment of a longstanding principle of English law: that justice not only be done but be seen to be done. Recently, the size of judgments in the English courts has been steadily creeping up and they have now reached somewhat obese proportions. This could reflect a more thorough, or less succinct, judiciary, but it probably has more to do with the judges’ adoption of word processors and cut and paste. It is now standard for judgments to quote swaths of law and run to tens (if not hundreds) of thousands of words. This is not benign trend. Longer and more complex judgments mean it is increasingly hard for lawyers to keep up even with their particular area of law, meaning that there are fewer generalists and more super-specialists. But at least lawyers get paid for keeping up to date; what hope do the general public have? Moreover, the growing technical sophistication of the judiciary has not been matched by the judicial system as a whole. It is a wonder that judgments are publicly available at all, as the court system itself rarely publishes them. Rather, it is only thanks to the heroic efforts of the British and Irish Legal Information Institute, a charity funded by donations, that the public has access to a fairly comprehensive database of court decisions. The National Archives do run a free on-line legislation database, but lamentably only half of the law is up-to-date. Most members of the public are only interested in the vaguest sense in most court decisions. But some judgments are genuinely important for many people; for example the recent ruling in Tchenguiz & Ors v Imerman – relating to the use of stolen evidence in court – which could impact anyone involved in divorce proceedings. That judgment ran to around 26,000 words and since it related to a point of difficult legal principle, it has been widely misunderstood. This could have been rectified if the judges responsible had understood that it is not just their responsibility to decide the law but also to made their decision easy to understand. It is slightly unfair to pick on Lord Neuberger (who wrote the judgment in Imerman); he is clearer than most. But it would be a great help if court-authorisied summaries could be presented alongside judgments, explaining in brief the legal principles involved and highlighting the important part of the decision (what lawyers call the ratio decidendi, that is, the rationale). This system is already successfully running in the new Supreme Court, which publishes summaries of all of its judgments on an attractive and simple website. This small effort may have done as much for access to justice as any of the new court’s innovations. But the Supreme Court only accounts for a tiny fraction of UK court judgments. This system should now be expanded to the High Court and the Court of Appeal. A more open judicial system would help the press, prevent hasty reporting errors spreading via the internet, and improve access to justice for members of the general public who may (heaven forfend!) even end up spending less money on lawyers. So kudos to Mr Justice Foskett, and good luck in reading his judgment. Adam, I agree on the whole but I think you’re being a bit optimistic about the conduct of the press. Some jorunalists want to distort these cases and mere facts won’t get in the way of their pre-prepared stories.